Is that a time-travelin’ Chippewa Valley pioneer I see? 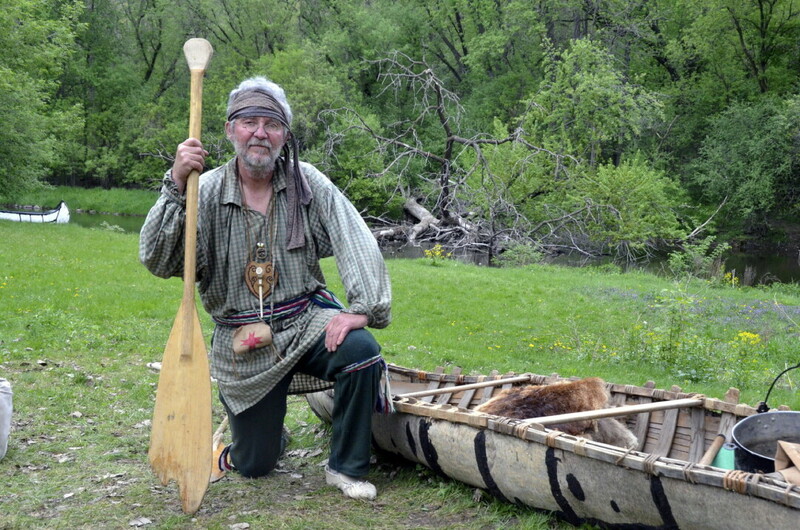 Step back into an authentic reenactment of a huge 1800s French fur trading camp at the 14th annual “The Past Passed Here” from Thursday, May 11, through Sunday, May 14, at Allen Park in Chippewa Falls. Allen Park was the actual site of Native American and French fur trade-era camps. Later, the Chippewa Lumber & Boom Company, the largest sawmill in the world under one roof, located there. The event offers food, fun, music, and learning for only $10 per family or $3 per person. The Food: Voyager stew, Indian fry bread, buffalo burgers, Olson’s ice cream, root beer floats, popcorn, and fresh pretzels. The Fun: Archery, hawk throw, canoe paddle race, cat and mouse, flint and steel fire-making. The Music: Performances by Peter Lea, Bruce Sorenson, Dan and Jacey Lea, Isaac Walters, and Jerry Way with Jim Schuh. The Learning: Camp and trader re-enactors role-play, demos of beeswax candle-making and campfire pie-baking, and tours of a mobile lumberjack museum … to name a few. “The Past Passed Here,” which is organized by the Chippewa County Historical Society and put on by 100 or so volunteer historical re-enactors, began in 2003 to provide a field trip for area students who study Wisconsin history as part of their fourth-grade curriculum. Since then, more than 7,800 fourth graders have attended, and 600 more will join them this year during school hours Wednesday through Friday. Since the event was opened to the public, more than 17,000 people have taken the time-traveling opportunity.